1887 W.S. Kimball Champions of Games and Sports (N184)Patsy Cardiff. 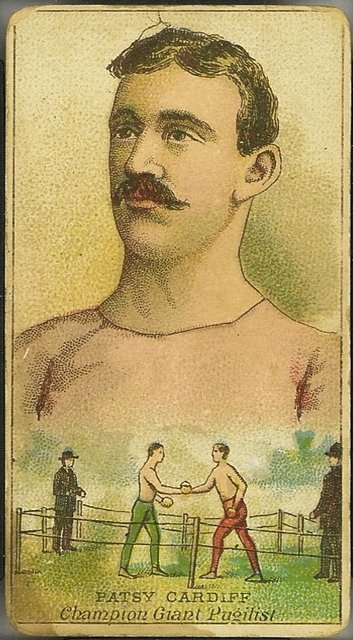 Not to be outdone by its competitors at Allen & Ginter and Goodwin, W. S. Kimball & Co. issued its own set of champions cards. There are five boxers. The card fronts are found with or without the company name wrapped around the portrait of the subject.